Tell us what you think in the comments below the article! A pig farmer in Katy, Texas, was unhappy when an Islamic group moved in nearby and asked him to leave (video below). Craig Baker said that when the Katy Islamic Association moved into his area, they told him the pigs on his family’s 200-year-old farm needed to go. In response, Baker decided to stage pig races on his property every Friday, the day Muslims consider a day of prayer. The association planned to build a mosque and community center on the 11 acres they bought next to Baker’s farm. 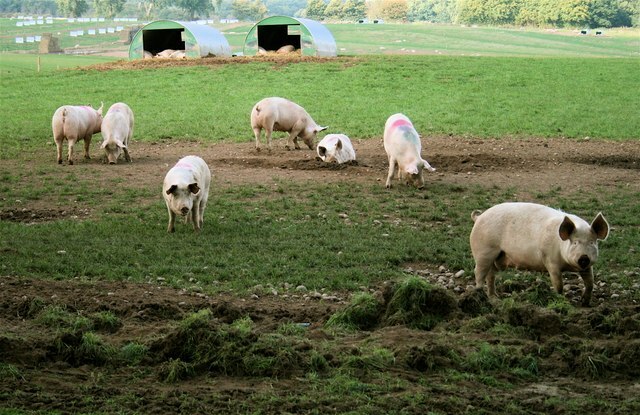 Baker said the association knew what they were signing up for when they bought the property, and that it wasn’t fair of them to ask him to remove his pigs or move. Although Baker and the Islamic association’s president, Kamel Fotouh, were friendly when they first met, Baker said he felt insulted when Fotouh asked him to move. Fotouh defended his decision to build the mosque in Katy, saying other local mosques didn’t provide the right environment. “We feel that these mosques are not fulfilling the needs of the community as they should. So, our vision is to have an integrated facility,” he said. The pig races don’t bother Fotouh or the members of the association, and they said they would continue with their plans. Many readers applauded Baker for his efforts to protest the group’s demands.